We sell and install batteries in light and heavy trucks owned by individuals as well as fleet businesses across Springvale and other areas of Melbourne. The truck batteries supplied by us are designed and built to withstand the harsh climatic conditions of Australia. As we stock batteries, which are manufactured by the leading companies in the industry, the downtime of your vehicle would significantly decline. We also provide batteries built with advanced technology for light and heavy equipment used in industrial and other applications. Our technicians ensure that your various pieces of equipment operate smoothly by answering all your queries. Whether you own a fleet of trucks or individual truck or own light or heavy truck, you always need hassle-free transportation for your truck. But you are worried regarding malfunctioning of the battery due to harsh summer of Australia. By evaporating electrolyte and battery solution, the scorching heat of Australia can spoil your battery and stranded your truck on the way. By visiting our battery shop in Springvale, Clayton, noble park, Mulgrave, Dandenong, you can take pro-active steps to avoid battery-related problems. Our battery shop is equipped with the all the latest diagnostic tools to check all types of batteries. We have heavily invested in the training of our auto electricians to handle all types of truck batteries. Apart from providing a free battery check up at our battery shop, we offer you professional advice regarding your battery and accessories. We check your battery with the latest diagnostic tools and if we find any fault, we immediately rectify it. Either we recharge your battery or repair it. In case, if your battery is dead, we install a battery with the right size and technical specification and configuration. We ensure that new battery is compatible with your truck model. 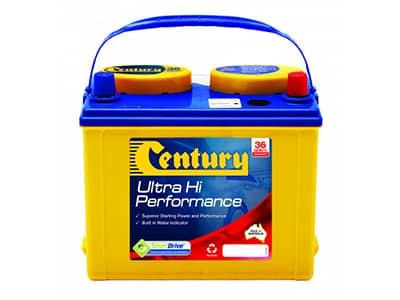 To withstand the harsh climatic conditions of Australia and reduce the downtime of your vehicle, we stock specifically designed batteries from the leading manufacturer of the industry. Apart from providing a battery to light and heavy trucks, we also sale batteries built with advanced technology for light and heavy equipment used in industrial and other applications. We have constantly imparted on- the- job training to our skilled auto electricians to work on different types of batteries. That’s why we can resolve any battery-related problems. We provide quality truck battery installation and truck battery replacement service at a competitive rate. We always maintain the highest level of ethics and stock the original battery from all leading manufacturers. That’s why our rates are fair and transparent.